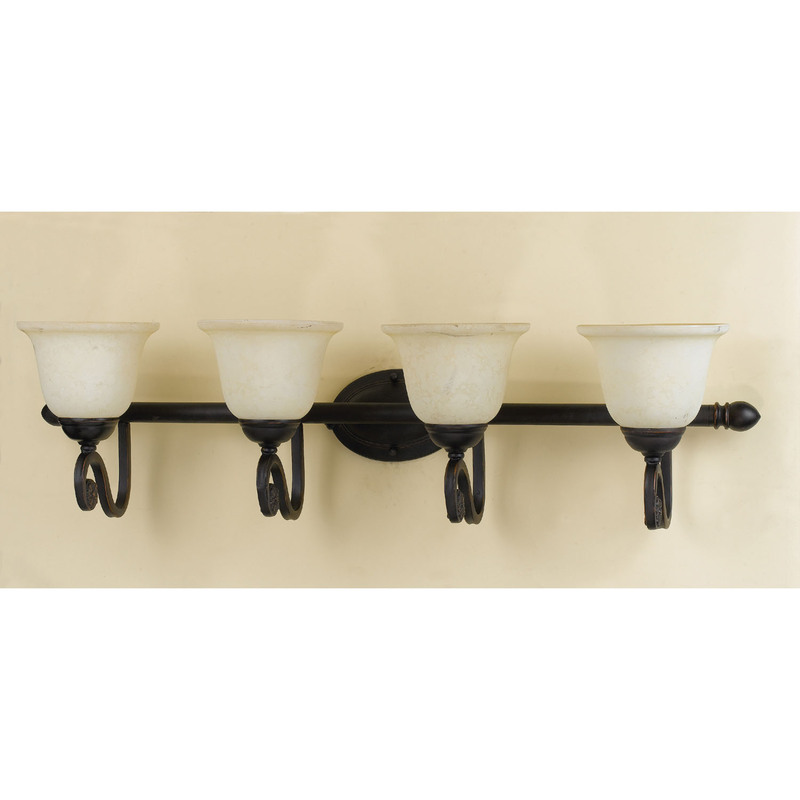 The AF Lighting 6909-4WB Harmony Four Light Vanity features a oil rubbed bronze finish with frosted alabaster glass. 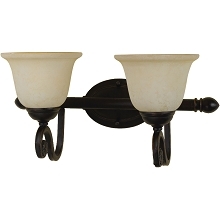 This traditional style vanity uses four 60 watt bulbs (not included) and is hard-wire only. It's a part of the Elements series and a great addition to the Harmony collection. Due to handcrafting no two are alike. Shade diameter 6.5" x 4.5"